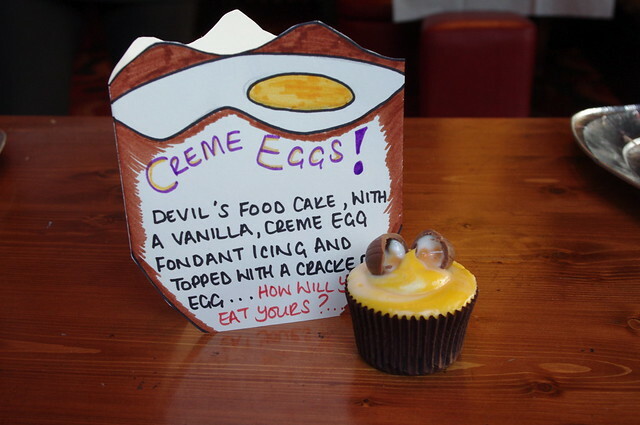 An Egg-cellent result at Ironcupcake:Leeds! 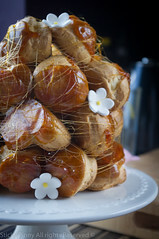 Last Sunday I decided to make a return to the Ironcupcake:Leeds competition. I haven’t been for about 8 months sadly due to one thing and another but I decided I needed to get myself out there again….I have previously entered 3 times and won the last 2 times I entered, which gives me a 66.6% success rate…But could I do it again?? I have been keeping an eye on the competition over the past few months, and I have to admit, the competition is fierce! For those who don’t know what Iron Cupcake is, it’s actually a global competition that was started over in the US (Milwaukee to be exact). It usually happens monthly and each competition has a theme and the bakers have to create a cupcake which ties in with said theme. To my knowledge there are 3 Ironcupcake cities in the UK – London (which is unfortunately taking a bit of a hiatus at the moment), Leeds and Northampton. Those who attend are either “bakers” or “eaters” the eaters also do the judging and score each cake for taste and presentation. For more info on the Leeds competition, which is held at the lovely Adelphi pub, please visit the site. 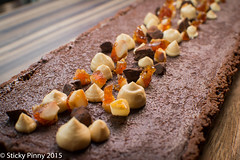 So March’s theme was Chocolate Bars – I was racking my brain to think of a cake inspired by chocolate bars. I’ve done Malteser cupcakes before and I’ve also done Dime Bar ones too and I didn’t want to just go with something I was comfortable with! Lunch hours have been spent staring at the chocolate aisle in the supermarket, looking for inspiration, when the thought of Cadbury’s Creme Egg came to me after a conversation with my friend Heather and also whilst passing the Easter eggs in said supermarket… Creme egg cupcake it was to be, but how would I do it? I had various ideas on how to create my cake – I thought about just filling a chocolate cupcake with a creme egg filling and topping with chocolate ganache, but I just thought that visually, it would just look like a chocolate cake and I wanted it to look fun, like the eggs themselves! So I settled on incorporating the Creme Egg fondant filling within the icing, using a chocolate cake as a base. Because the fondant is so sweet, I thought a devil’s food cake base would work well and also use a cream cheese icing to further cut back on the sweetness. I wanted to top the cake with a mini creme egg, but rather than just plonk a whole one on top of the cake, I wanted the icing to look like it was actually coming out of the egg, so I decided to “crack” the Creme egg open. 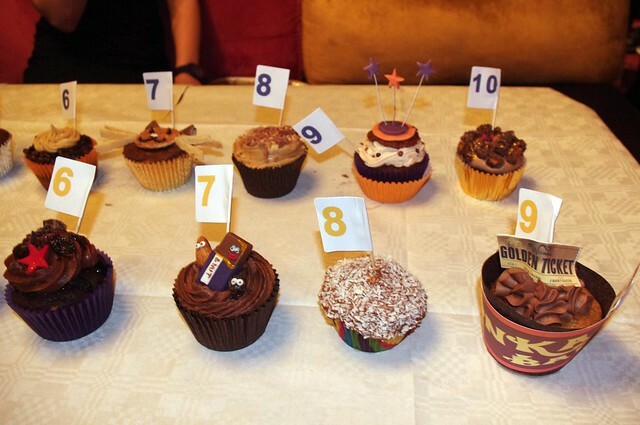 As part of the competition rules, bakers are asked to provide 12 cakes, with 9 of them chopped into quarters for tasting. My issue with this from previous experience in other competitions is that it’s difficult and messy to chop them up at the event. I’ve also tried chopping the cakes up prior to arriving but the sponge seems to dry out. I thought it would be a good idea to make up 3 standard sized ones and then make up 36 minis – meaning all the eaters get their own cake and presentation wise, it means the cakes still look good! Overall I was happy with the cake, but if I’m honest I didn’t think it was a winner – I’m not sure why, maybe I’m just too hard on myself! The Eaters seemed to really like it so that’s all that matters – so much so that I came first place!Yay! Success rate is now 75% – not that I’m counting. 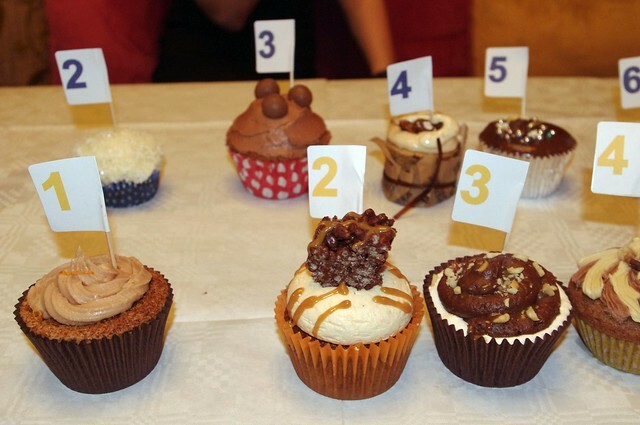 Some of the other cakes – yellow number 2 was my fave, Toffee Crisp! More of the other cakes – some of the detail on some of them must have taken forever! Check out the characters on yellow 7 – Fruit and nuts! April’s theme is Nuts and Seeds…best get my thinking cap on! Preheat the oven to to Gas Mark 4 / 160C (fan) / 180C. To make the sponges, make up the devils food cake batter and divide into cupcake tins – cook for 20-25 mins for the standards sized cakes and about 10-12 minutes for the minis. Test with a cake tester – if it come out clean, they’re ready. Leave for a couple of minutes in the tines and then take out the cakes and leave to cool on a rack. 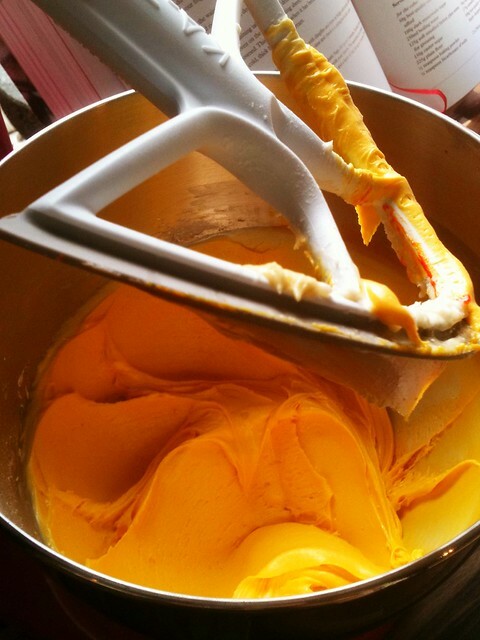 To make the fondant filling mix the butter, syrup and vanilla in a bowl – ideally you want to do with with an electric mixer, or it will take forever! Gradually add the icing sugar, then the food colouring and carry on beating until smooth. Cover and set to one side. Make the cream cheese icing – again, beat the butter, cream cheese and vanilla extract and then gradually add the icing sugar continue beating until smooth and thick. Use immediately or if not, cover and store in the fridge. Once the cakes are cool, you can start to decorate. To get the two-tone swirled effect, place some of the fondant down one side of a piping bag and add the cream cheese down the other side – try not to combine / mix them up too much. you want a1/3 – 2/3 ratio of fondant to cream cheese icing. Feel free to eat in whatever way you wish! >I can easily see how you got 1st place, congratulations. I can't wait to try the recipe out myself. got confused though when writing out the recipe – you've written the same ingredients twice in the method…no golden syrup added etc. I'm basically guessing that I start the fondant filling the same as the frosting and add the golden syrup etc. after butter, icing sugar etc. is combined? The runny fondant in creme egs gets its consistency because they include a special enzyme in it and keep them at a very low temp. for 2-3 weeks. The enszyme reacts with the inverted sugars in the fondant to make it all runny, but only at that low temp. If you ever get a firmer creme egg is has not been stored long enough before it has been shipped out! >Wow! These look amazing – fantastic idea. Nice tip on how to get the two-toned swirl effect with the icing too, something I have yet to master. is there a way to get all the measurements convertated into cups and tablespoons? I want to make these so bad but dont work with grams. If you just look on Google then you can find online conversions from grams to cups. Incidentally, if you have a look at the comment I posted above from 14th April 2011, then I give a rough guide to the conversions. 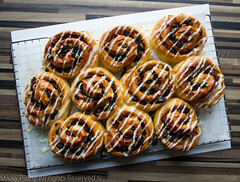 just made these – found you via cupcakecrazygem – and WOW they were so yummy! 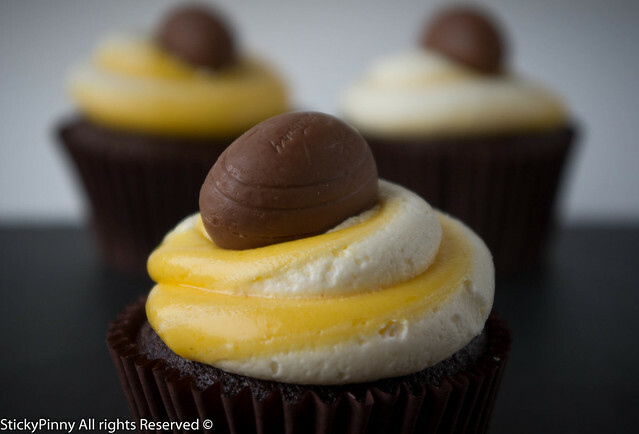 Thank god you came up with the perfect creme egg frosting – now i dont have to mourn the loss of creme eggs after Easter! Hi! Thanks for your comment, glad I can help! Every time I make this filling I have to stop myself from grabbing a spoon and just eating! 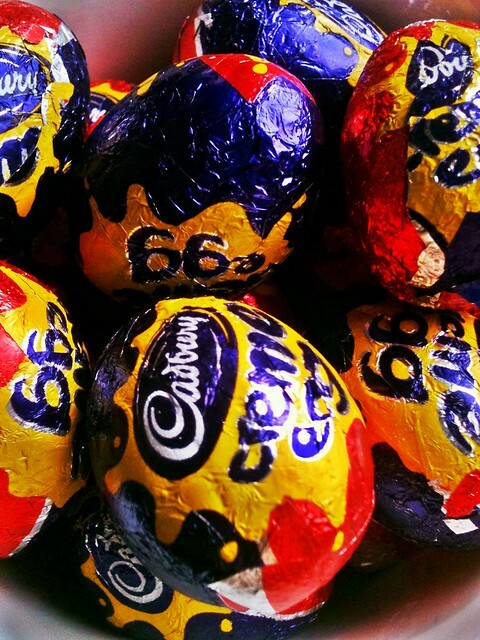 I’m excited to make these for a friend of mine who is crazy about Cadbury Cream Eggs. We’re having her baby shower on Tuesday at work, they are sure to be a hit. They are great cakes and always make me smile! How did they turn out? Hope your friend enjoys them! She loved them and the baby enjoyed playing with the sticky frosting. Love cream,eggs only eat them over Easter time though. Cannot wait to try these!! I can’t wait to try these! 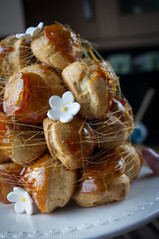 I have been looking for a recipe that is similar to the filling. I attempted one last year, but it wasn’t quite right. Definitely have to try these for Easter. Hi I clicked on you devil’s food cake recipe but I am getting the Death by cake link. Is this the right link? Will be grateful if you can let me know. Hi, this is right, just use the cake recipe as described in the Death by Cake post and bake in cupcake liners for about 20 mins. Hiya. Made them & they are divine! Sadly my hand mixer broke & icing piping bag split whilst making them! Oh no, sorry to hear that. You managed to triumph in the ace of adversity though! Cheers Susie! Many thanks! Can’t wait to make them! Hi Lucy, I haven’t tried cooking it in the middle. 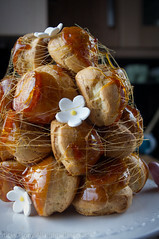 if you do want to do this, then I would suggest leaving the cakes to cook and then coring the middle of the cake out, adding the filling and putting the sponge back in. Please see my wasabi cupcake for a how to guide on this. How many cupcakes does it make? Sarah, this makes approx 12-16 standard sized cakes or about 42 minis. 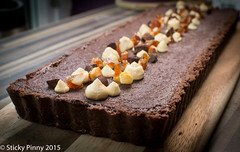 fab recipe, thanks for sharing! 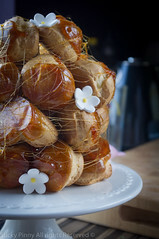 I am gonna try and make theses, only i don’t really get the recipe, do you make the cakes and then cut them in half and put the mixture in the middle? Hi Lauren. No, I pipe the two tone fondant on top and keep the cake whole. You can fill the cake with filling if you like. When I say use the devils food cake recipe, you need to use the cake mix but then divide them into cupcake cases and bake for 18-20 mins. Hope that helps. These look amazing! Although I have a feeling that knowing how to make my own creme egg filling could be the start of a very slippery slope. Omg if I was anything of a cook I would be making these right now! NICE! Do you not sell online? Hi there, look lovely, how much food colouring do you need? Hi Vikki, It depends on whether you use liquid / gel / powder based colours. I use gel as you only need a small amount (literally the tip of a knife), you get a better tone and doesn’t dilute the moisture. Basically enough to get the same tone / shade as in the pictures. This are AWESOME!!! I’m truly inspired!!! Hope you don’t mind if I give it a go. See if I can do then justice! I would love to try this recipe but i was wondering how many cupcakes the icing is designed to cover? This is a brilliant idea and how amazing to have won for a third time, i’m hopeless at making cupcakes look appeal, or any food for that matter! 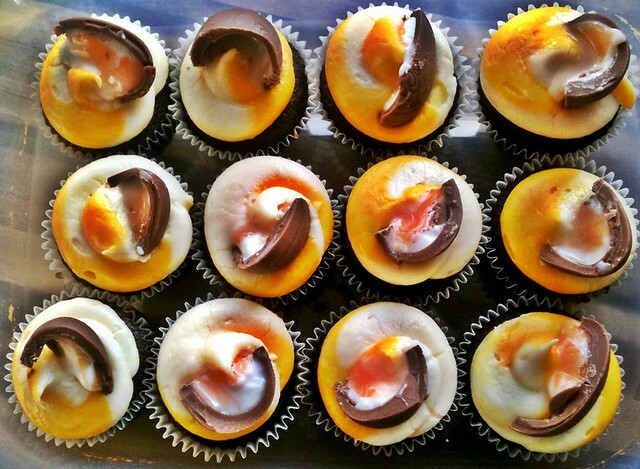 I did try making creme egg cupcakes, quite different to yours and they went down well, maybe something you could try? 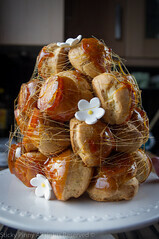 The recipe-ish is on my blog! Mine turned out really well although I had loads of the icings left so will half this next time I make. Many thanks for the recipe. Currently sat in work drooling!. Thanks for the recipe, going to give them a go this weekend! Ha ha, thanks! You really should try them, let me know what you think if you do! You should make them! Do it! Hi! Do you mean a ratio of yellow to white? A tip I found recently was to put each into separate icing bags, snip the ends off and then add those bags into another with the tip of your choice. to get a decent split. This is good if you’re not sure on separating them out in the same bag. Alternatively Lakeland sell dual colour icing bags. Hope that helps. They look amazing! I’m going to give them a go! Do you have the recipe for the devils food cake? I am going to make the devils food cake as a whole cake too was really delicious . Thanks for sharing. Just made these… What can I say… I’m off my t!ts !! Very sugary, but taste amazing !! Looks so tasty!!!! Just want to ask how sweet will the cupcakes be? And will the finished product keep in the fridge? Would love to share with work colleagues but won’t make them if the creme egg filling will leak out completely onto the cakes overnight – total disaster! Some larger supermarkets are stocking them now – dr oetker have a range. I get mine from specialist cake suppliers. You’ll be able to buy some online if you just do a search. Failing that you can use liquid colouring but you may have to adjust your icing sugar amounts as the liquid adds excess water. Hope that helps. Susie. How many cupcakes will this make? I’m so all over these for Easter weekend. The kids will love them, I manage to eat them all first! Ive jusy made ur gorgeous creme egg cupcakes and they are going down a storm at home and with friends thanks so much for posting, looking forward to trying some of ur other lovely cakes. hi i made these yesterday they are v good and friends very impressed. I made these today and am so happy with the result ! I have LOADS of fondant icing left over tho – Any ideas on what do to with it ….other than eat it ! Wow what a fabulous and great looking recipe! I’m a big baking fan myself and these cakes look great! 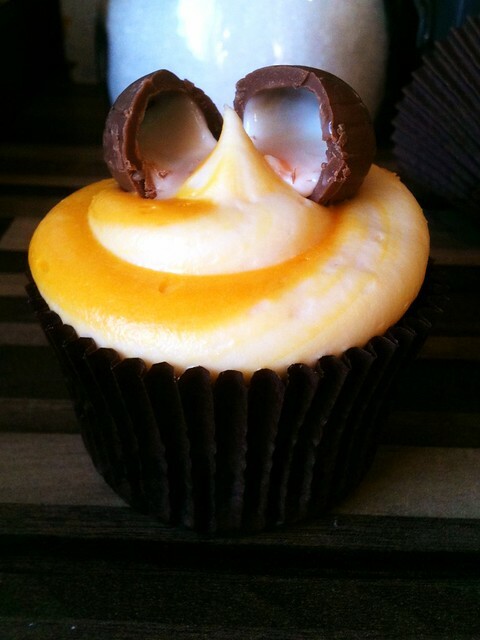 Can you email me the ingredients for the creme egg cup cakes and the instructions how to make them, they look amazing !!!! Hi, made these today and they are amazing, thanks. One question I have is about storage. I’ve transported these for a fair few hours to my family and they have been in an airtight container. I’ve left them stored in that airtight container but not in the fridge. I’ve eaten cream cheese frosted cupcakes kept like this before but I’m conscious to not make my family ill. What’s your view on storing these cupcakes? The opinion on the Internet is divided. In theory I think the sugar to cream cheese ratio is such that it’ll be ok as long as its not in a warm environment and its air tight. Hi, I think you’re fine with either, but personally I would store in the fridge but take out and bring out to room temp for about 30mins – 1 hour before eating. Wow these look amazing!!! I will have to try these later!!! Pics to follow!!! Hope you enjoyed them! I’m sure they were delicious. Hi, i have made these cakes this morning thinking they would be perfect for an easter weekend treat and they are amazing!!! 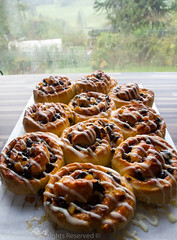 Thanks so much for the recipe, its so easy to follow and the cakes look amazing! Only problem is now i have to eat them all!!! Can’t believe I only just discovered these this year, I feel cheated! Made them this Easter, they were delicious. Thanks for a fab recipe! Hi, Just add it when you’re combining all the ingredients. Also, for the frosting just add 1/2 tsp of vanilla. Also, the cream cheese instructions mention vanilla, but not in list of ingredients for cream cheese frosting. I really waNT to try this but i live in Canada, so what is golden syrup ? ?